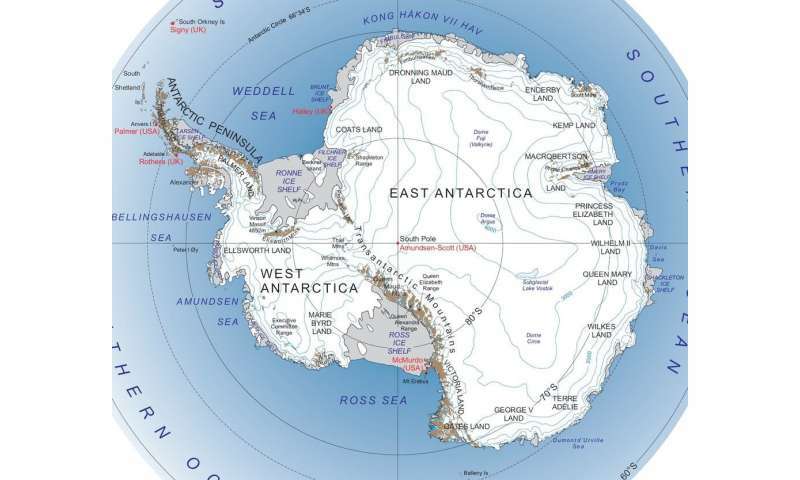 Antarctica's ice sheet contains enough ice to raise global sea levels by around 180 feet if it all melted. 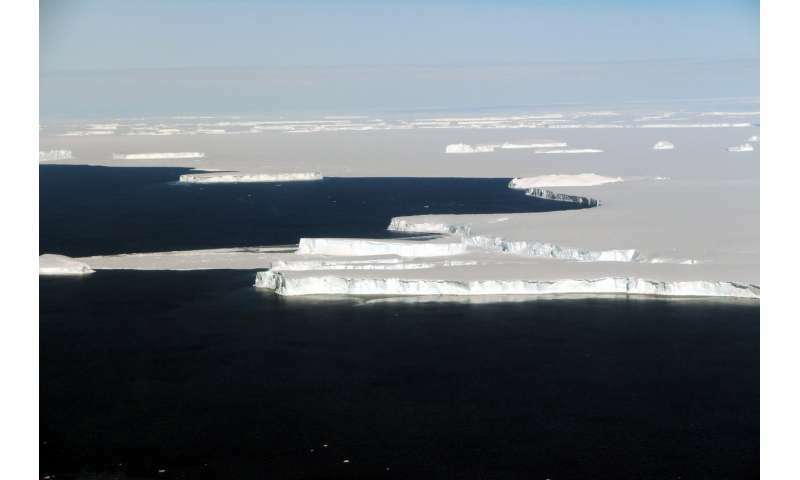 But dramatic, eye-catching changes to Antarctica's floating ice shelves, such as calving icebergs, are often highlighted in the news without a sense of long-term context or a clear connection to what is causing the changes. Antarctica is losing land ice at an accelerating rate, and current observations suggest it will become the largest contributor to sea level rise by the middle of this century. Understanding variations in the height of Antarctic ice shelves – the floating edges of the continent's ice sheet – can tell us how and why Antarctica is changing, and what that could mean for future sea levels. We study changes in Antarctic ice shelves, along with our colleague Laurie Padman at Earth & Space Research, a nonprofit institute in Seattle. One of us, Helen Amanda Fricker, contributed to two articles in a special issue of the journal Nature that brings together current understanding of the state of Antarctica. Here's what we see happening. Antarctic ice shelves provide mechanical support to hold back the flow of ice from the continent to the ocean, regulating the pace of mass loss from the enormous ice sheet. Scientists call this process "buttressing," since it works in the same way that an architectural buttress prevents a building from collapsing. Antarctica has more than 300 ice shelves, and the net change in their mass is a delicate balance between gains and losses. Determining this balance requires understanding how ice, ocean, and atmosphere interact to drive changes around Antarctica. Climate change will alter the overall balance between gains and losses, and will determine the future of Antarctica's ice loss. Antarctica's small ice shelves are roughly the area of small cities, and its largest is the size of Spain. The total ice-shelf area is around 1.5 million square kilometers (580,000 square miles), about as large as Mongolia. The only viable way to routinely monitor changes in their mass is with satellites. The European Space Agency (ESA) has launched four ice-observing satellites since 1992, carrying radar altimeters to precisely determine the distance between the satellite and the Earth's surface beneath it. These data have now provided a continuous time series of variations in ice-shelf surface height since the early 1990s. Combining measured increases and decreases in surface height with the latest generation of climate models to infer how the atmosphere has changed, we can estimate the amount of mass an ice shelf can lose to the ocean. The Pacific Ocean sector of the Antarctic Ice Sheet is experiencing exceptionally high mass loss. This sector contains the rapidly changing Thwaites Glacier, which is the focus of a new major research initiative between the U.S. National Science Foundation and the United Kingdom's National Environmental Research Council. The opposite occurs during La Niñas, the counter to El Niño, where tropical ocean waters cool. 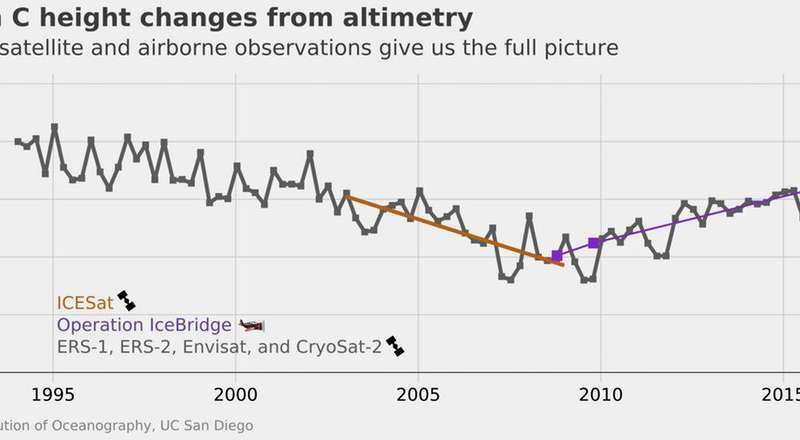 Scientists expect that total precipitation and the frequency of extreme ENSO events will increase as Earth's atmosphere warms, which implies that yearly fluctuations of ice shelf thickness and mass will also increase. The role of the atmosphere is only part of this story. After removing the effect of higher air temperatures, we found that the ocean continued to melt the ice shelves' bases at a rate that tipped the scales toward net mass loss. In fact, we found that the atmosphere recently played a stabilizing role while the ocean exerts a continuing destabilizing influence, highlighting the complex interplay between the atmosphere, ice and ocean around Antarctica. As the satellite record lengthens with the launch of new polar-orbiting satellites like NASA's ICESat-2 in September 2018 and NISAR in 2020, scientists expect to reach the point where we can confidently include these processes in models of ice-sheet response to climate changes, which will improve projections of future sea level rise.